This Brand New Hair Tool Breaks New Ground! Until recently, Dyson was just known as a company that produced innovative vacuums, fans and other air treatment products. Then, just a few short years ago, they shocked us all by introducing the Dyson Supersonic hair dryer. As strange as we thought that was, at closer look their foray into the world of hair dryers made sense since the product perfected the use of controlled air for fast drying and precision styling. Now, Dyson is at it again in the hair space. 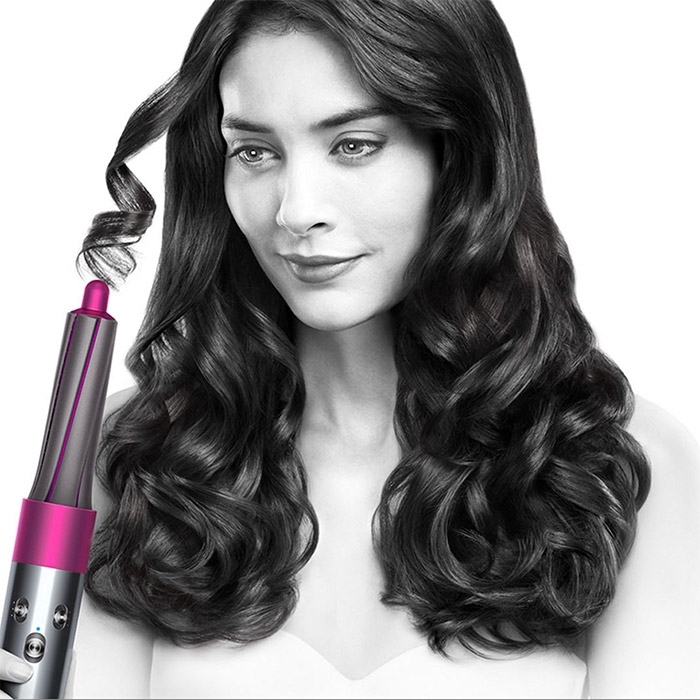 Their new product, the Dyson Airwrap styler, is completely disrupting the hair tool category. As the name suggests, the Dyson Airwrap once again uses air technology to achieve results. With curling iron barrels to curl or wave the hair and brushes to smooth or volumize, the Dyson Airwrap styler uses air flow (an aerodynamic phenomenon they call the "Coanda effect") to help style the hair without the extreme heat that other stylers use. According to Dyson, this use of air helps to create voluminous waves and curls (when using one of their two curling iron attachments) as well as helps to smooth hair or add volume (when using one of their two brush attachments). In addition to requiring less heat, this technology also allows you to style and dry your hair simultaneously. Yes! You can curl your hair while stile damp! Gone are the days of having to fully dry your hair before using heat tools to avoid the sizzle and hair damage. Their top of the line Airwrap Complete styler set (at a hefty price of $549) comes with their full line of attachments including a pre-styling dryer (to dry hair until just damp), multiple curling iron barrels, plus two brush attachments (one to smooth hair and one to add volume). Additionally, they also offer two less expensive styler sets–Volume+Shape and Smooth+Control, both with more limited attachments to address specific hair needs. Both of these retail for $499.99.